Zirconium is a highly ductile and malleable metal that has a melting point of 3,371 degrees Fahrenheit or 1,855 degrees Celsius. It’s also very resistant to corrosion, which is why you’ll find zirconium used in many pumps, valves, heat exchangers, and more. You’ll also find a ton of zirconium in the nuclear power industry. It utilizes almost 90 percent of all the zirconium that is produced on an annual basis. Here are some other interesting facts about zirconium. It was first discovered more than 200 years ago. Zirconium was discovered in 1789 by German chemist Martin Heinrich Klaproth. He was also responsible for discovering uranium and cerium, and he named both tellurium and titanium as well. However, even though zirconium was only discovered about 200 years ago, minerals containing zirconium date all the way back to Biblical times. Some of those minerals, including hyacinth and jargon, can be found in the Bible. The majority of it is produced in just two countries. While zirconium can be found in a handful of different parts of the world, the majority of it comes from either Australia or South Africa. There is approximately 900,000 tons of zirconium extracted from these places each and every year. Scientists believe there is zirconium in the sun. 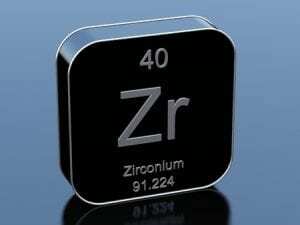 Zirconium doesn’t just exist here on Earth. Scientists also believe that there is some level of zirconium on the sun. Additionally, NASA has found zirconium in some of the lunar rock obtained from the moon. And there is also likely zirconium in many meteorites floating through the solar system. Zirconium might be used to help fight cancer soon. Currently, zirconium plays a prominent role in the nuclear power industry. But it could start to play a big part in the medical industry, too. There are new PET scans being developed that are designed to catch cancer cases. Those scans rely on zirconium to help detect the presence of cancer in people. Does your company need to obtain zirconium metal? Eagle Alloys can provide you with zirconium sheets, plates, rods, tubing, and wire. Call us at 800-237-9012 today to discover how zirconium might be able to benefit you.